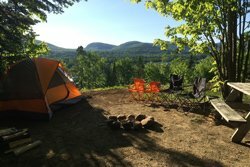 Just 35 minutes from Jacques Cartier National Park and 20 minutes from Québec City, Valcartier Campground enjoys an idyllic location in the heart of nature: the perfect spot for a vacation with friends or family. A wide array of on-site and nearby activities await. 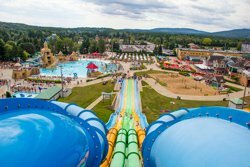 Be sure to visit Valcartier Vacation Village, right next to the campground. The water slides, games and activities are sure to delight young and old alike! Top it all off with a walk in the forest and evenings spent around the campfire... Unforgettable memories!